Germany is located in the temperate zone. Geographically Germany is divided into the northern German lowlands, the low mountain range, the footihills of the Alps and the Alps. 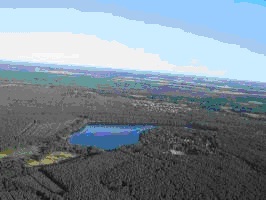 Because of these various conditions there is a natural diverse forest structure in Germany. 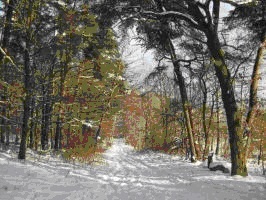 Originally, there were deciduous forests and mixed deciduous with coniferous forests in the mountain regions. Because of human intervention the area changed a lot. 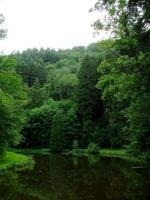 Forest was always used as a resource (for example for building materials and fuel) and therefore typical productive forests were developed. Today, Germany is one of the richest countries of Europe in wood production. In total, forest area covers approximately 31% of the country’s territory. This forest area (31%) consists of 2/3 of softwood and 1/3 of hardwood. 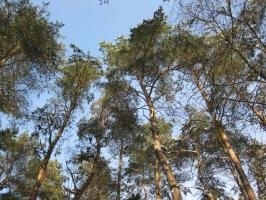 For more than 200 years sustainable forest management has been implemented in Germany. Sustainable forest management can influence forest structure in a positive way and sometimes it even has positive effects on the natural structure. The principle of sustainability is anchored in the Federal Law on Forests and the States Law on Forests. Hans Carl von Carlowitz was the founder of the principle of sustainability. In his book "Sylvicultura oeconomica“ (1713) he presented the assumption that food harvest should be in direct balance with growth. This assumption is still valid today.